1. Go to the 'Protected Items' tab. 2. Select 'Edit' and the 'Add', 'Cancel' and 'Save' options will become available. 3. Click on 'Choose File' next to the item you would like to upload a file for. A pop up box will display where you can find the correct file. 4. Once you have found it select 'Open'. 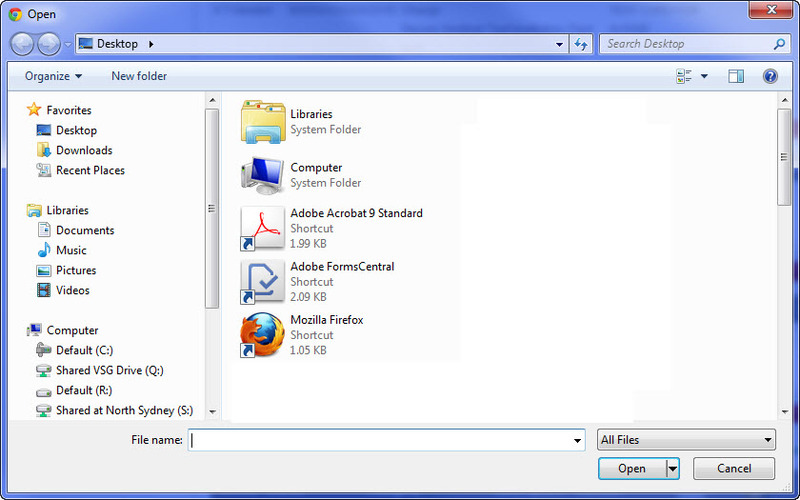 Depending on the browser you are using the file may not display until you select save. 6. Your file has now been saved to the Document Vault and will show as an icon. 7. If you would like to change the file select 'Edit'. 8. If you would like to change the file, select 'Change' and then 'Choose File'. Follow the steps from Step 3. 9. If you would like to delete the file, select 'Delete' and then 'Save'. 1. Select 'Membership' from the top row of tabs. 2. On the Membership page select the 'Change your Password' link. This will open up a form where you will need to enter in your old password and your new password. 3. Type in your old password, making sure that you enter the correct upper and lower case letters and symbols. 4. 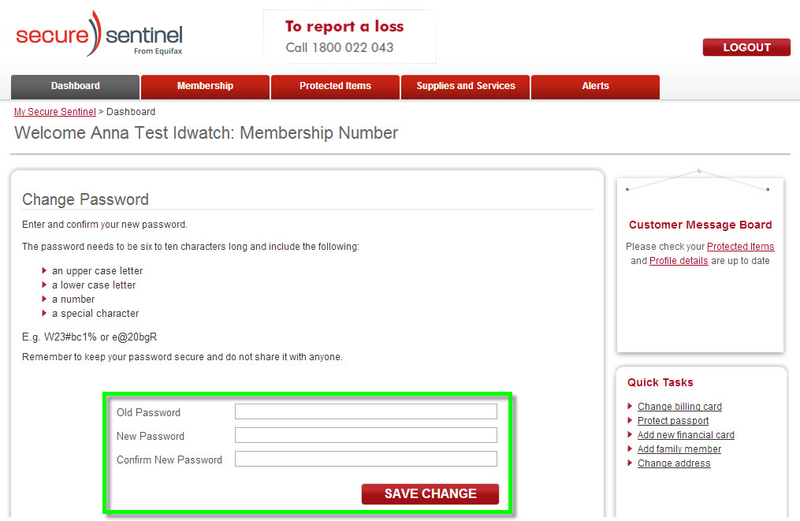 Select ' Save Change' and now next time you log in you will need to use your new password. 1. Select 'Protected Items' from the top row of tabs. 2. Scroll down to the category you would like to Edit. For example if you would like to add a passport, find the Passport heading and select 'Edit'. 3. Once the items become editable you can select the 'Delete' checkbox to remove the item, or make changes to the fields. 4. By selecting 'Save' the changes will be made to your items. To select items for Identity Watch monitoring please follow the steps below. Learn more about Identity Watch and how it works on the information page. 2. Scroll down to the section you would like to opt items in to Identity Watch. For example if you would like to opt a Medicare card in then go down to the Other Cards, Valuables and Documents section. 3. Select 'Edit' so you can edit your items. If Identity Watch is available then a check box will appear under the 'Identity Watch' column on the right. 4. Choose which items you would like monitored by selecting the check box. Please ensure that you do not exceed the maximum number of items. 5. Select 'Save' once you have selected the items you would like monitored by Identity Watch.